Now that I'm starting to tackle our boys' bedroom, I started brainstorming about ways that I can incorporate their existing furniture into the room. It was the perfect time to finally give the old Ikea dresser some love. It's amazing what a coat of paint can do to transform the look of something. The dresser now looks more finished and substantial, don't you think? You could also glam it up with some gold metallic on the legs or trim, but since it's for my boys' bedroom, I wanted to keep it simple. 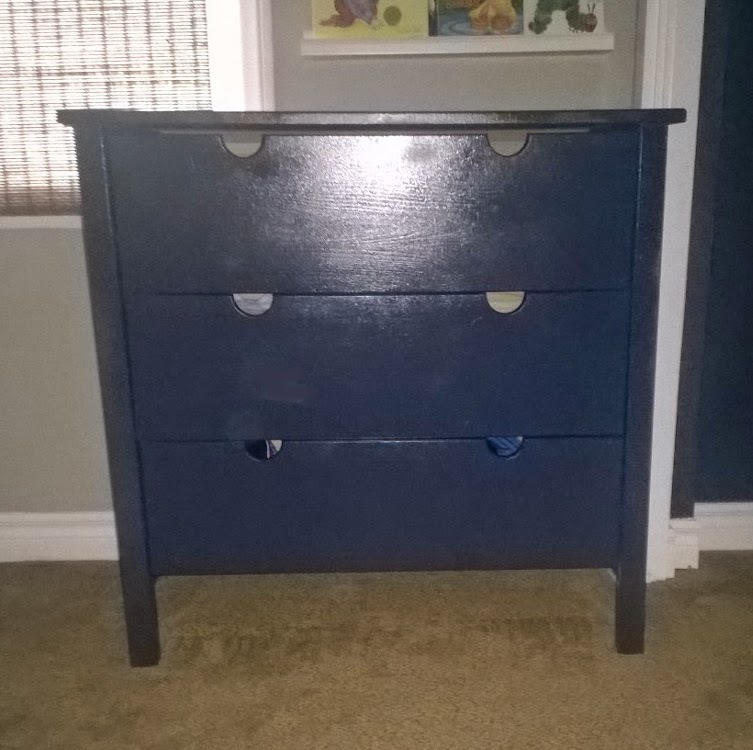 The dresser cost less than $20 to transform. It cost $15 for a gallon of paint (although a quart of paint will do the trick), and $4 for the sealer. Not too shabby! So, before you think about getting rid of something that functions perfectly fine but needs a little TLC, try the power of paint to completely change its look!